Sometimes I get so excited when shopping that I buy things without even thinking. I should know after many failed attempts that taking that extra time at the store can save a lot of money AND the hassle of going back to return something. However, times like these are why muscle shirts are a thing and cut up shirts are in! I decided to embrace the awkward sizing and DIY my shirt after 5 SOS. 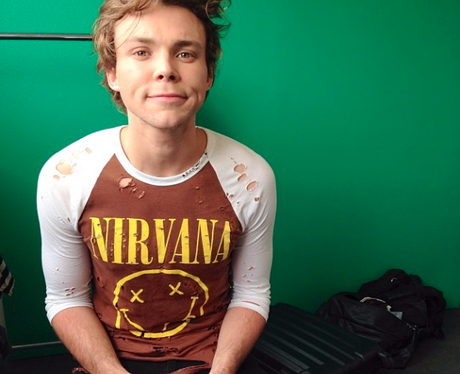 If there's one thing they can do perfectly besides performing it's destroying band tees. Besides great hair, grunge shirts are the guys' staples. 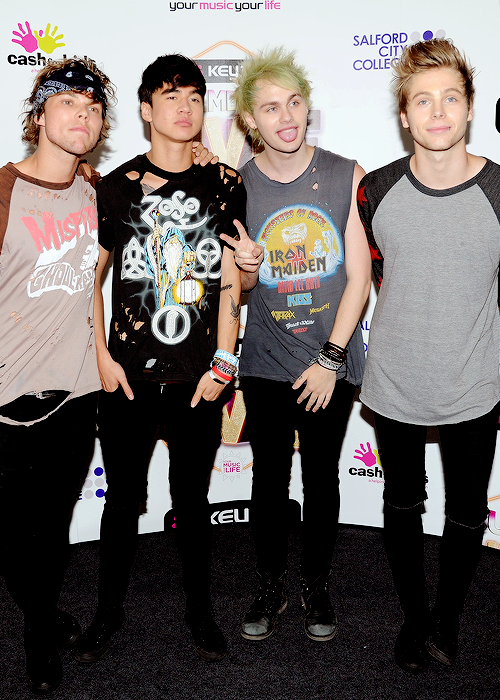 Calum, Ashton and Michael's (Not so much Luke) shirts always manage to be the perfect balance of lived in and 'I just got in a fight with Freddy Krueger'. It's an art form really. I decided to cut and tear not only the band tee but also two other brand spanking new shirts I got at Target- Sorry mom! You want to put your shirt down on a concrete surface so that your scissors have something to strike against. The scissors will catch on the unevenness of the concrete and in this case, that's how the magic happens. Once you start to see the fabric rip, pull the shirt with your hands. This tears the fibers even more and creates bigger holes. Do you like my crazy hair? Bonus: A festive Christmas tree in the background. I see Mickey Mouse shirts like this everywhere now. It just goes to show that you're never too old for Disney. There are a few holes on the bottom of this which aren't visible because my pants are black. I transformed this baby into a muscle shirt and I'm thinking about cutting the neckline later as well. I originally wanted to make this a muscle shirt too, but realized that nothing beats jumbo, oversized sweatshirts- ever. 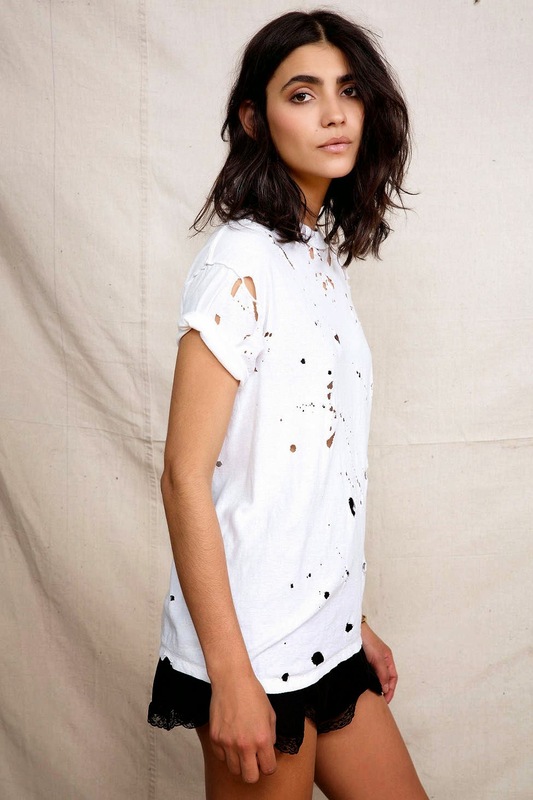 The whole cut up shirts/ jeans/ 90s grunge trend is in right now and there's no need to run to Urban Outfitters just to spend over $30+ for a ripped shirt. ( i.e. 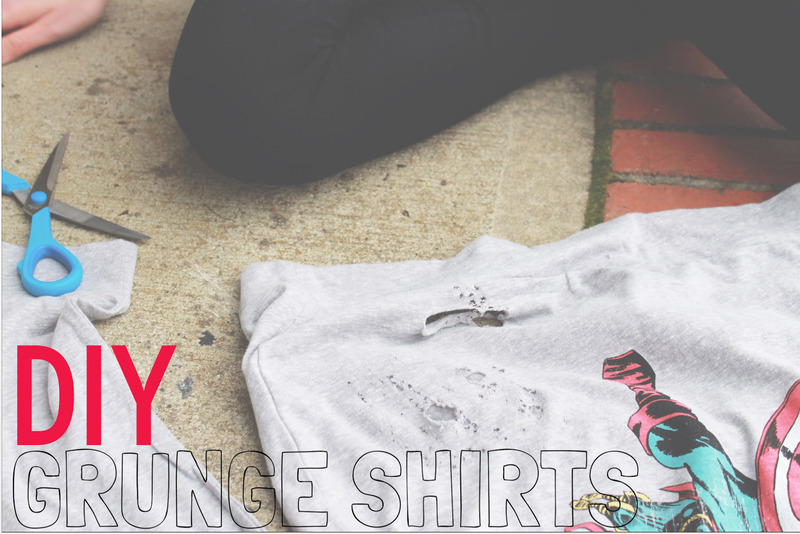 the shirt above) Grab a pair of scissors, an old shirt and let your creativity run wild! Sizes are so fickle these days, aren't they? I don't know if men have this problem, but I doubt it; for some reason all women's clothing has to be skin-tight now. Great job making the shirt work for you anyway, though. Being creative is the best way to get around problems like this.